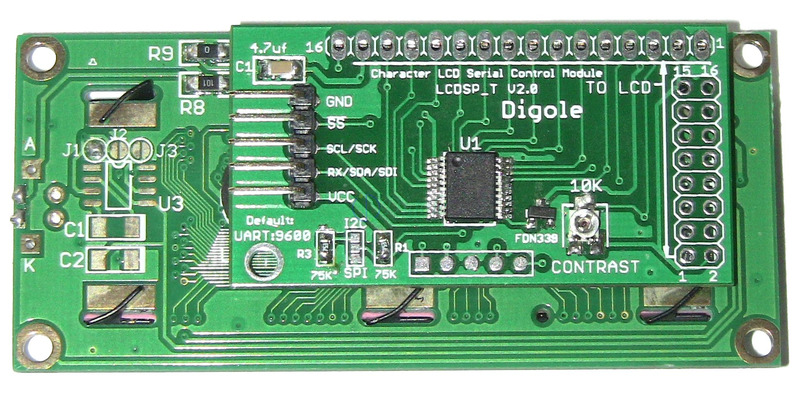 Unlike other "Serial Display" which just convert serial input to parallel, Digole's Serial displays and adapters embedded a powerful MCU to process the commands received. Display characters and control back light as you want, all commands are simple, high level and easy to remember! 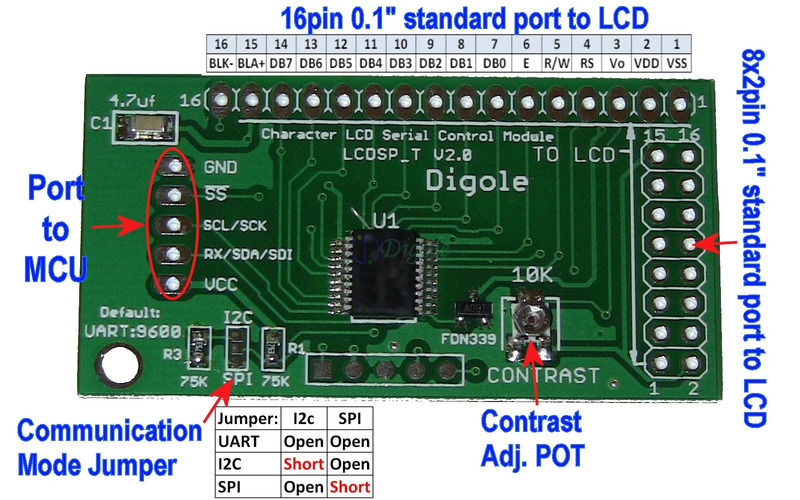 In order to use a Text LCD display, you need connect at least 4 data pins and 2 control pins from your circuit to display, and you also need to spend some time to write code to drive it, in some case, you may need couple of days to deal with it, and it will give you a nightmare when changing to other display. What benefits you if using these products in you electronic projects? Save lots of the I/O resources: these products only need 1 to 3 I/O pins from your master controller that depends on the communication type you want. CLear screen and set the display position to first Column and first Row (x=0.y=0), for graphic LCD, it also set the font to default and turn off the cursor. The print function in Arduino, also can print other data and format the out put.